The Sydney is part of the Creative Border's HD metal photo panel, product line. 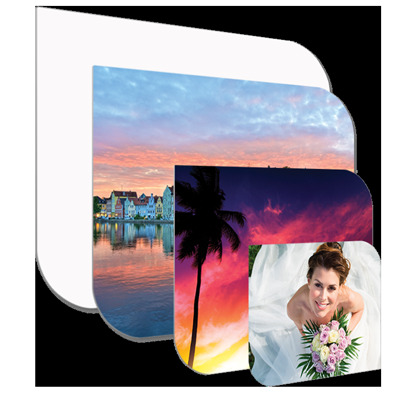 ChromaLuxe Creative Borders are metal shaped photo panels that celebrate your client’s unique style and enhance any room of their home or office. Now you can preserve your memories with stylish digital borders or a standalone image. Available in three sizes, the Sydney looks great when grouped with 2 Fiji Creative Border Panels.